CBD oil is a top health and wellness trend. In this blog, we take a closer look at the properties of the two most effective carrier oils, hemp seed oil and olive oil. The best CBD oil is not just the one with the highest potency; bioavailability and personal preference make all the difference. The CBD market might be in its infancy, but the forecast from the Hemp Business Journal market analysis predicts a $2.1 billion market by 2020. Matt Karnes of GreenWave Advisors told Forbes, “I estimate an almost $3 billion market by 2021”. Whoever is right, we are talking serious green. And with so much profit potential, a glut of questionable CBD oil has hit the market. In order to effectively supplement your ECS (endocannabinoid system) with CBD, the CBD oil you consume must actually contain the stated dose of the non-psychoactive cannabinoid cannabidiol. And the best way for the body to absorb that CBD is with fat. Specifically, via carrier oils rich in the “good” fats essential to a healthy diet. Bioavailability, or how readily the body can absorb the oil, is the critical factor. CBD is most commonly infused into hemp seed oil and olive oil due to their high bioavailability. To maximise this, dropping CBD oil under the tongue (sublingually) is agreed upon as the best ingestion method. Hemp seed oil alone does not contain any cannabinoids. This oil is a product of the cold-pressing of hemp seeds and not hemp plants. What makes hemp seed oil special is its unique 3:1 essential fatty acid ratio. As a dietary supplement, hemp seed oil is a tastier, slightly nutty-flavoured alternative to the less appetising oils from the health food store. Mother Nature got it right the first time with hemp. Only when infused with CBD does hemp seed oil become CBD hemp seed oil. Essentially, the CBD molecules are hitching a ride into your body via carrier oil fats. The combination of CBD and hemp seed oil exploits the full potential of this healing plant. That’s why RQS CBD Hemp Seed Oil is already available in 5% and 20% CBD concentrations. No psychoactive effects, while boasting all the benefits of hemp’s essential oils. Olive oil is the magic ingredient of the Mediterranean diet, used for cooking, drizzled over salad, and even employed as pizza topping by some. The oil that is cold-pressed from the fruit of the olive tree is more vegetable-flavoured and favoured in the kitchen, although olive oil has many uses, from cosmetics to medicine. Olive oil has been linked to increased longevity and healthy living for centuries. Moreover, olive oil is also a fantastic carrier oil for CBD, and is arguably the most effective. This is due to the presence of LCTs or long-chain triglycerides. Olive oil is a natural source of LCTs, and this makes it the perfect CBD delivery system. Boasting far higher bioavailability than medium-chain triglycerides (MCTs), it is more efficient than many other carrier oils. RQS CBD Oil puts the theory into practice with 2.5, 4 and 10% CBD concentrations available in 3 sizes (10, 30, and 50ml) in convenient dropper bottles. This same olive oil-suspended CBD oil is also available in the form of softgel capsules. Coconut oil is a natural source of MCTs. The health benefits of supplementing with coconut oil we do not dispute. Studies proving reductions in LDL cholesterol associated with heart disease have made coconut oil a popular diet food. Coconut oil’s shortcoming with CBD supplementation, however, is its lack of LCTs. It’s these that make the nutrients in the carrier oil more transportable in blood, and thereby highly bioavailable. At present, even in the US, the CBD market is largely unregulated. In fact, back in February 2016, the US Food and Drug Administration (FDA) tested 24 CBD products from 8 different companies and struck snake oil. Only two CBD products had a CBD content listed on the label that matched what was inside the bottle. WHAT’S THE BEST CBD OIL FOR ME? Our research and experience in the business tell us that CBD oil made in the EU is the best CBD oil in the world. The European hemp industry is a mature industry with a reputation for high-quality hemp products. Moreover, high-CBD hemp varieties have been specifically bred and adapted to the European climate. Whether you personally prefer olive oil or hemp seed oil, you need to be assured you are getting genuinely effective CBD oil. RQS CBD Oil is CO₂-extracted and sourced exclusively from EU hemp. You’ll taste and feel the difference when you supplement with superior CBD oil. Our CBD Hemp Seed Oil unlocks more of the natural healing power of hemp than any other oil. 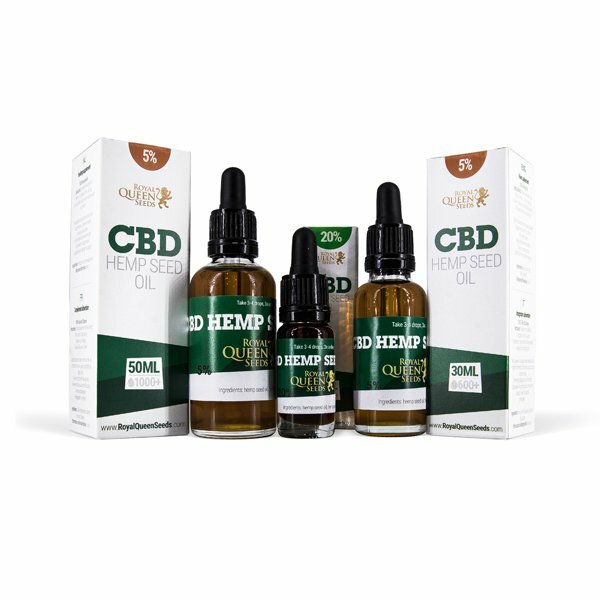 Cold-pressed hemp seed oil combined with CO₂-extracted cannabidiol is the Royal standard.